Millions of people each year come to ski in Canada. Canada's ski resorts are picturesque, not to mention state-of-the-art, well maintained, and easy to get to. Many of the more popular resorts, such as Whistler, Banff, and Mont-Tremblant, offer not just outstanding skiing but year-round reasons to visit, like hiking trails, spas, fine restaurants, hotels, and shopping. Skiing in Canada breaks down to skiing in western Canada and skiing in eastern Canada. Skiing out west - for the most part - means British Columbia and Alberta; out east, Quebec is the most popular ski destination, though Ontario and the maritime provinces have some ski resorts. The caliber of skiing in Canada's western provinces is comparable to the best around the world. In addition to Canada's primary ski destinations - B.C., Alberta, and Quebec - every province has at least a few ski resorts; however, the hills are smaller and less challenging and may challenge any serious skiers idea of what can be called a downhill "ski hill." The ski season in Canada is pretty much November to April, with variances depending on where you are. BC and Alberta have a more moderate climate and generally a longer ski season. Blackcomb Mountain in Whistler, for example, is open at the top through mid-June. British Columbia has the most ski resorts of any province in Canada. All in all, there are at least 55 B.C. ski resorts that offer downhill skiing. B.C. is blessed with tons of snow, light, airy powder, high mountain ranges, and a moderate climate that translates to a long ski season. Each of the province's six tourist regions has ski resorts, the most famous being Whistler Blackcomb, two hours outside of Vancouver. Ski enthusiasts who don't want to stray far from Vancouver can find downhill skiing 15 minutes from downtown at Grouse Mountain. For those looking for even more adventure, B.C. reigns supreme as one of the world's best heli-skiing, cat-skiing, and backcountry ski destinations. Alberta is blessed with the Rocky Mountains, which boasts the three biggest ski draws in the province: Lake Louise Mountain Resort, Sunshine Village, and Mt. Norquay. The "Big 3" are all in Banff National Park, a region famous for the amount of light, dry powder that accumulates in winter and delights skiers. Like BC, Alberta is popular for heli-skiing and can offer skiers deep powder in an astonishing setting. Canadian Mountain Holidays is one of the area's most experienced heli-ski trip providers. Alberta also features regional ski clubs and resorts outside of Banff and more accessible to cities like Edmonton, Medicine Hat, and Red Deer that offer ski and snowboard packages at family-friendly prices. Quebec does not have mountain ranges as towering or expansive as BC's and Alberta's but is a popular ski destination. Quebec's main ski regions are the Laurentians, Quebec City and the surrounding region, the Eastern Townships, and Charlevoix. Take note: Especially when compared to Whistler or Banff, Quebec gets darn chilly and icy. Bundle up and be prepared. Ontario does not have a mountain range, so ski hills are limited in height, with Blue Mountain boasting the tallest vertical at 720 feet. The Ontario ski season usually begins in mid or late December and goes through March. 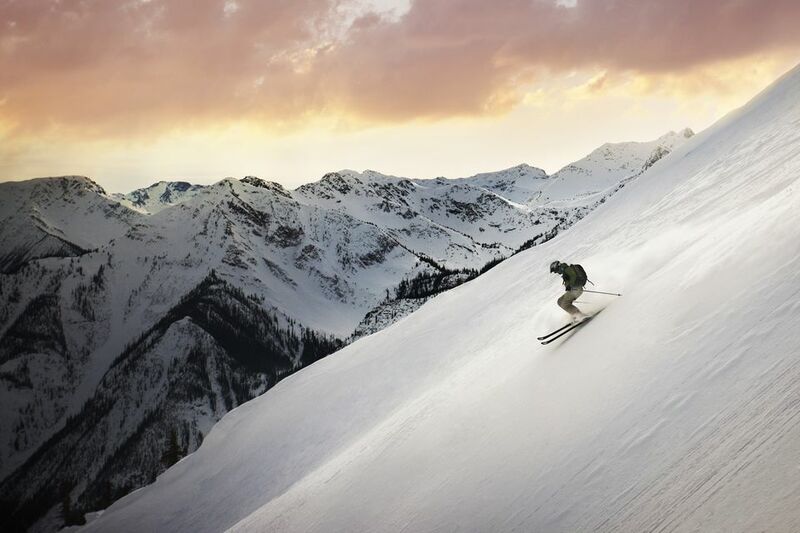 Canada has ski resorts from coast to coast, ranging from lavish spreads to small operations. Quebec, Alberta, and British Columbia have the lion's share of the best ski resorts in Canada. Though the ski season varies across the country, most resorts will have excellent spring ski specials come March.